As you know, I think my record is that I’m correct about 22.5% of the time. 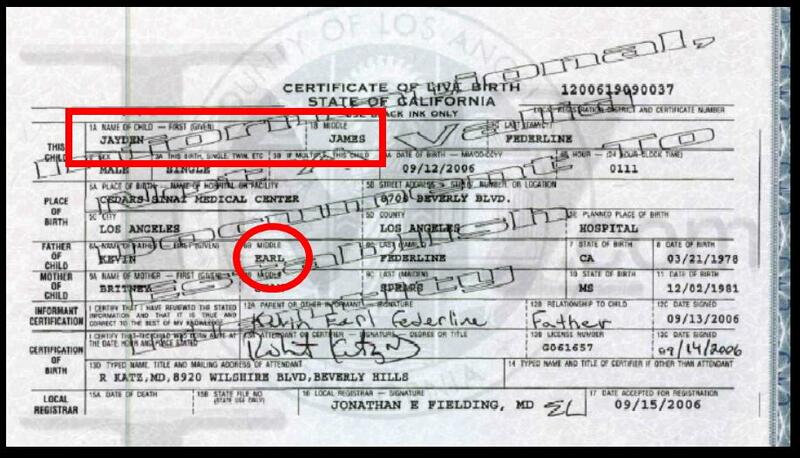 It looks like Britney’s baby is a boy (I said girl), but the name is, infact, Jayden James Federline. I hope and pray they call him “JJ,” but when they do they need to be chewing on a piece of hay and shoot a rifle in the air at the same time. 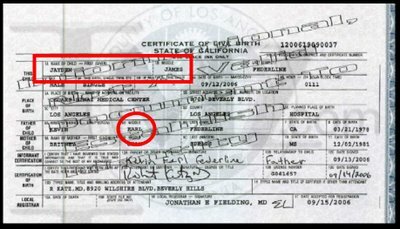 Even more intriguing is that Kevin’s middle name is “Earl.” How honky tonk! Yeeeee haw!